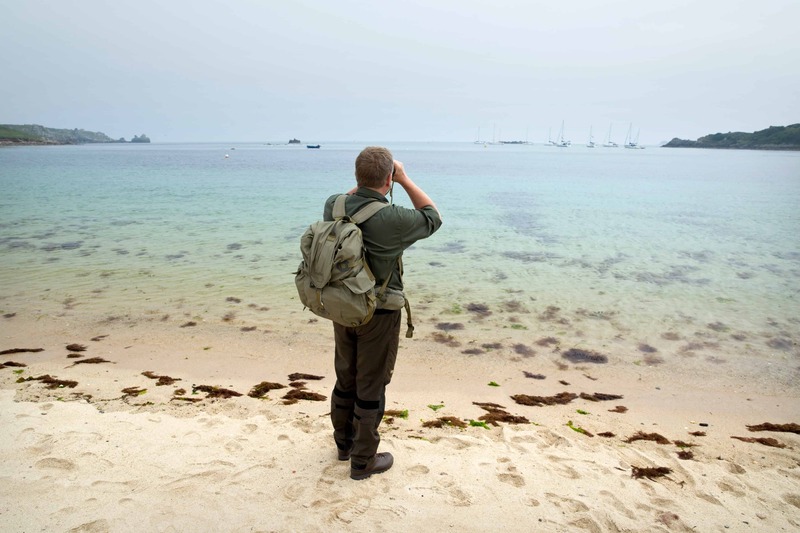 We’ve recently had the pleasure of hosting survival expert Ray Mears on the Isles of Scilly. Ray is the Isles of Scilly Steamship Groups patron in 2018, which means he’s going to be supporting the company and worthy causes on the Isles of Scilly and spreading the word about the magic of Scilly. Ray is one of the country’s best-loved TV presenters and a famous author and bushcraft instructor with his company Woodlore. 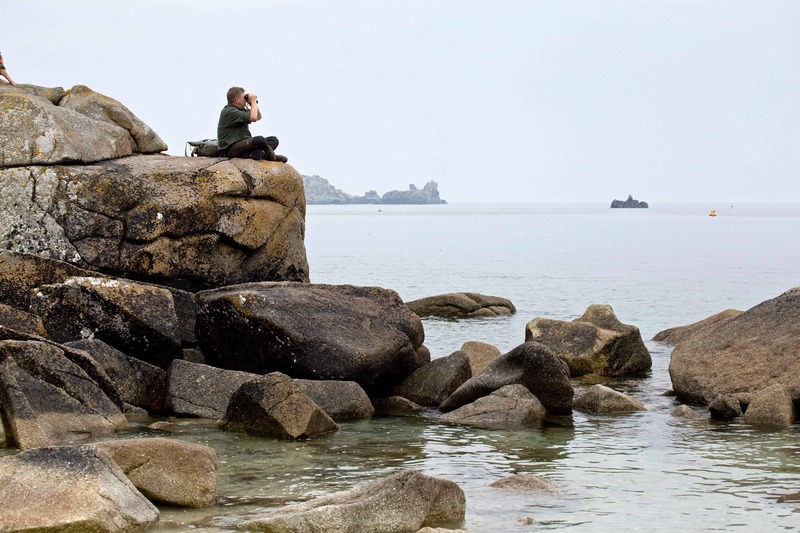 He first visited the Isles of Scilly in 2013 to film Wild Britain with Ray Mears. Last week, we took Ray and his wife Ruth across to the islands to meet local community groups which have been supported by the Steamship Group’s Community Fund project and numerous organisations which promote island-based nature initiatives. During our time with Ray, we met up with a particularly special group called COSMOS, a small team of volunteers who have been busy fund-raising to build the islands only Community Observatory on St. Martin’s. We also met with the St. Martin’s Cricket Club, members of the Royal British Legion based on Scilly, businesses which have benefitted from the installation of Wi-Fi at the St Agnes Community Hall and the local Judo and Sailing Club. All of the projects Ray met during his time on Scilly, have been supported through the Isles of Scilly Steamship Groups’ Community Fund. The fund supports local community projects and good causes creating a positive impact from a community, social or environmental perspective by awarding grants of up to £10,000. We also met the Isles of Scilly Wildlife Trust to spend a very insightful morning on Gugh Island watching the trust’s Seabird Ecologist Vickie and rangers Phil and Toby and volunteer John Peacock from St Agnes Boating looking for incubating Manx Shearwaters. The IOS Wildlife Trust is delivering the legacy of the SeaBird Recovery Project, a fantastic initiative started by the RSPB with the legacy now managed and delivered by the Trust. 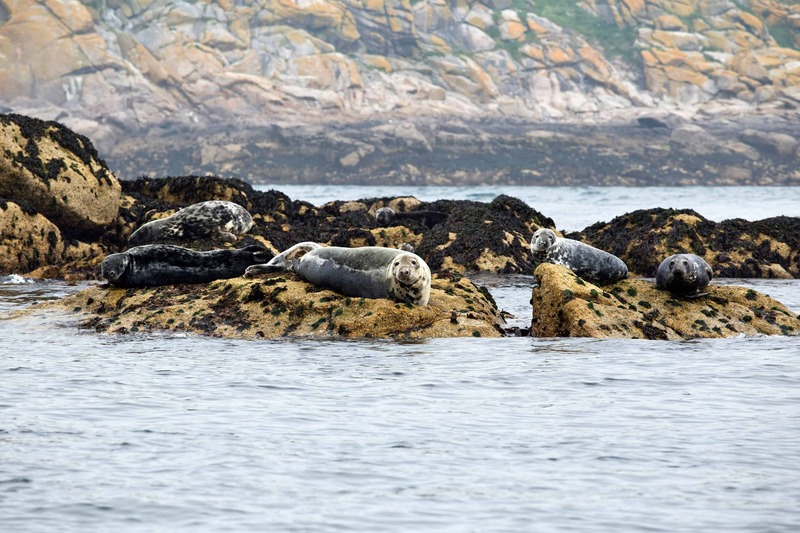 Ray also had the opportunity to visit the Eastern Isles to see the resident Atlantic grey seals and took a boat trip around Annet Island to look for seabirds. One particular highlight was spotting the shy visiting puffins. Ray is passionate about wilderness bushcraft and escaping from the stresses and demands of modern life to live a simpler lifestyle more closely attuned with nature, which makes the Isles of Scilly the perfect place for him to enjoy visiting – and its famous wildlife and stunning scenery something to champion. You can hear more from Ray about his thoughts on the Isles of Scilly in the latest edition of our magazine ‘S Magazine’, which features a full interview with Ray. 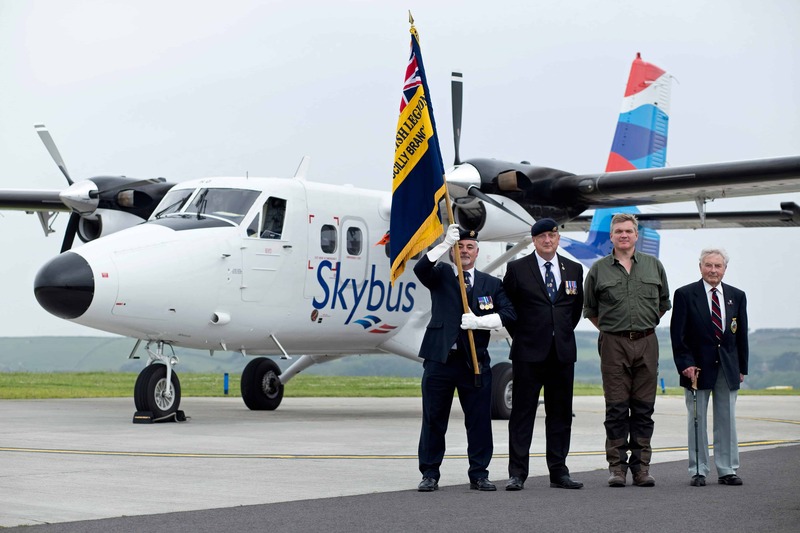 S Magazine is available for passengers travelling on the Scillonian III passenger ferry from Penzance, on Skybus flights from Exeter, Newquay or Land’s End Airports, as well as at Land’s End, Exeter and Newquay Airport.